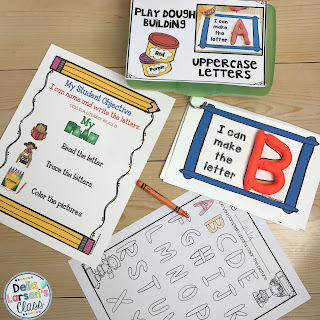 Della Larsen's Class: Make learning fun with an all time favorite! 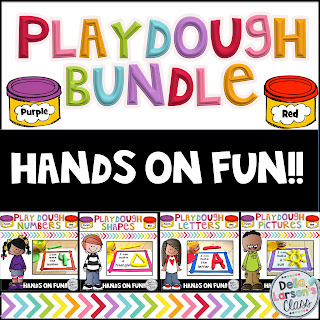 Make learning fun with an all time favorite! 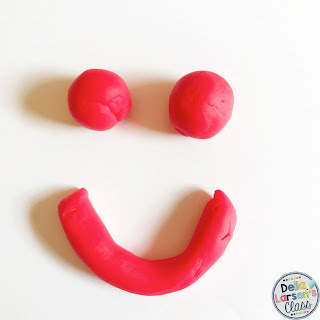 What's the one activity that always brings a smile.......Play doh! 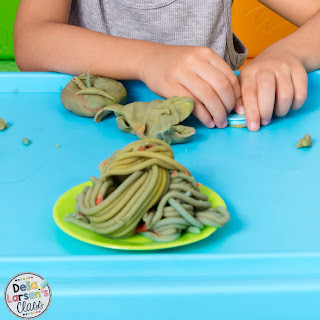 Who doesn't love play dough? I've never been able to resist grabbing some and giving it a squish. Kids are no different. They just love play doh and who could blame them? 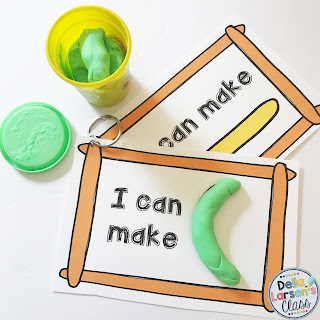 Play dough is my "go to" activity the first few weeks of the year. When we have "meet the teacher" or open house, I always have a small container on each desk so the kids can start playing while I chat with the parents. It's a true life saver. So let's use this strong attraction to sneak in a little learning. At the beginning of the year I love using these fun cards. Using the play doh helps build finger strenght, and dexterity skills. These skills are so important as our kids learn to write, draw, and use scissors. 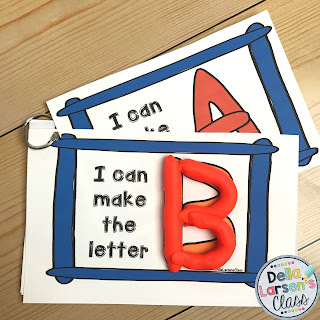 I can let the kids explore letters, numbers, and shapes. 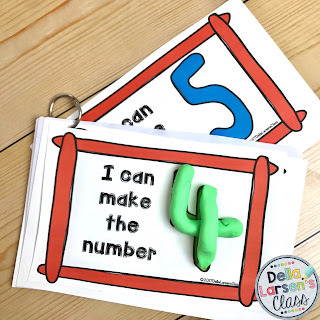 I love using these because at the beginning of the year my kids need a lot of time exploring materials and at the same time I need them to become familiar with the expectations of center time. 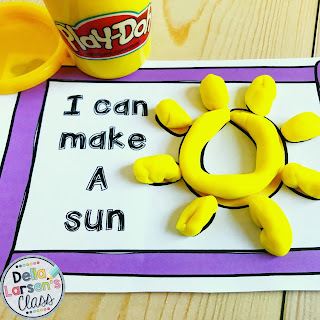 Play dough is the perfect way to transition into a more academic center. (Just what my boss is looking for). So I make sure I add a "student objective" sheet so my intentions and goals are clear. Let's face it, play doh looks beautiful the first week, but you let the kids have freedom with playdoh and it won't be long before the play doh is one big grayish greenish mixed up mess. And although I have no problem with them mixing the colors, there is nothing like bright vibrant clay. So my answer is, make it yourself. 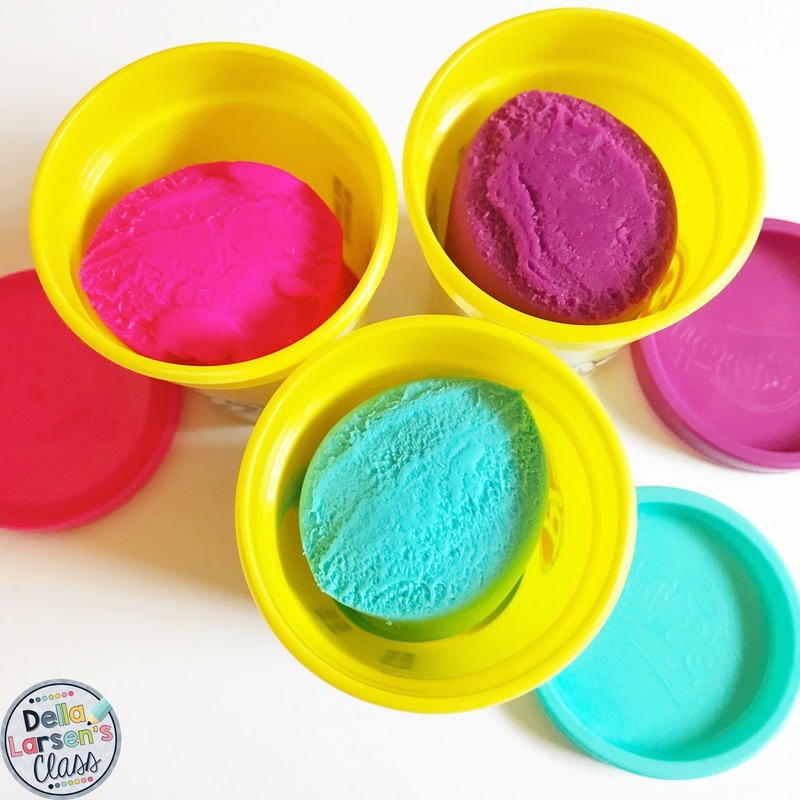 I have tried lots of play doh recipes but I've discovered the secret ingredient ....... Cream of Tartar. No, you won't find it on your fish sticks! You'll find this perfect little item in the spice aisle. 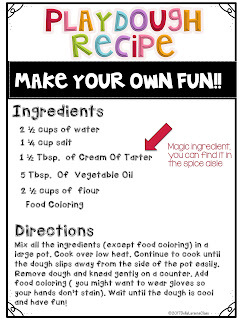 If you are a baker, you might know Cream of Tartar if you've ever made an Angle Food cake. But there is something about this magic little ingredient that keeps the play dough smooth and the consistency just right. 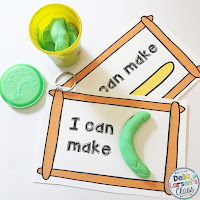 If you'd like a copy of my favorite play doh recipe and a set of play doh practice cards click here. I hope you are having a great back to school season. Remember to take care of yourself. Teaching little humans is hard work! So treat yourself to take out pizza Friday night so you can relax. You can see more about this center here.